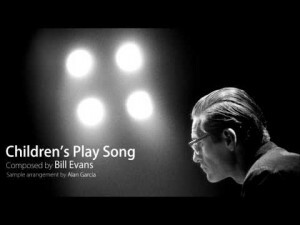 The Playground was composed by Bill Evans in 1970 and titled “Children’s Play Song.” The song was first released on the 1970 album From Left To Right. The lyrics by Alan and Marilyn Bergman were added later. “The Playground” was recorded in June 1998 and released that same year on the album The Playground.